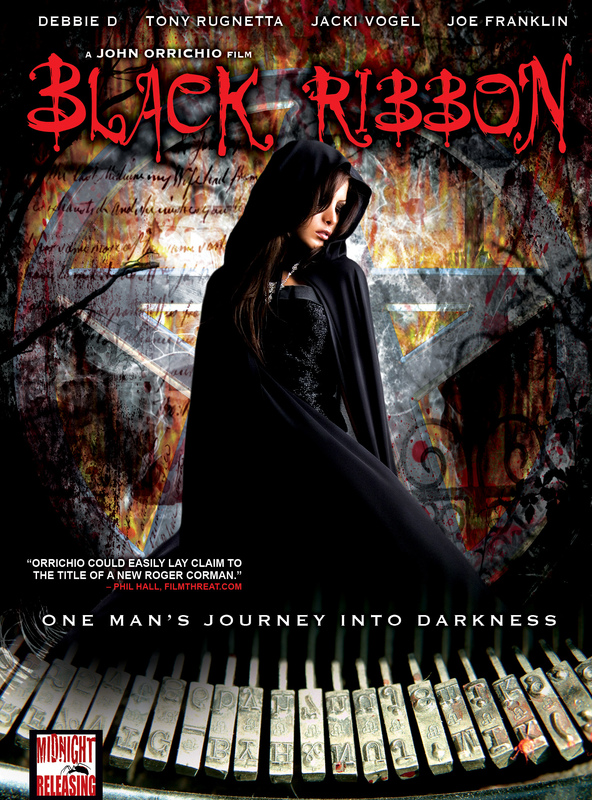 Black Ribbon - Acort International Inc.
SYNOPSIS: All hell breaks loose when famous writer Kenneth Richardson (Tony Rugnetta) becomes the owner of a most unusual Typewriter. The original owner, Jeffrey Blackwood, was a Sadist and Satan worshiper. Who abducted women and brutally tortured them during rituals trying to resurrect Satan.